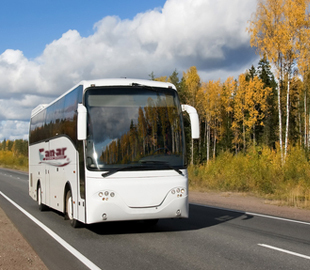 As a top Ontario coach bus service, Can-ar knows that Thanksgiving is one of the busiest travel periods of the year. Take the stress out of travelling during the holidays — avoid the train station and airport mayhem. Can-ar Coach is the inexpensive and safe way to get to, or travel with, your loved ones. A segment of Can-ar’s business includes two scheduled bus routes operating daily between Haliburton and Toronto, via Lindsay, as well as Port Elgin and Toronto, via Pearson International Airport. Can-ar is a leader in small tour groups and large corporate events. We are also the frontrunner in the group travel market covering many places in and around Toronto, including Woodbine, Woodstock, Brantford, Mohawk, Kawartha, Grand River, Georgian, Flamboro Downs, Casino Niagara, Casino Rama, Niagara Falls, Haliburton, Peterborough, Lindsay and Kincardine. The holiday season usually comes hand-in-hand with overeating and some festive drinking – and that’s okay. It’s our pleasure to provide an alternative to getting behind the wheel after your holiday get-togethers, and it’s our passion to keep you and your loved ones safe, comfortable and on time. Kick back, relax and catch up on some of your favourite programs or a good book while we worry about the rest!